Remanufactured Printers are fully remanufactured by Vecmar technicians. We completely disassemble the printers down to base components and then reassemble the units replacing all wearable parts with new parts. These printers look and function like new. Vecmar provides a one year warranty on every Okidata remanufactured printer. Try a trial unit today for thirty days and return it on us if you are not completely satisfied. Tank-Tough reliability, expanded head gap and zero-tear capability for dedicated forms printing. The MICROLINE 320/321 Turbo builds on the OKI Tank-Tough heritage. This 9-pin printer is now engineered even tougher for dedicated printing in the most demanding point-of-sale, automation and utility applications. It can easily run twice as long as most printers in its class! And it's economical enough to put wherever you need data on the spot. 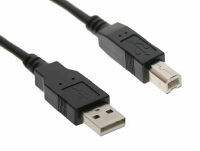 This remanufactured model contains both USB and Parallel Interfaces. Thickness: Rear Feed: 0.014" (0.36 mm) max. Bottom Feed: 0.017" (0.43 mm) max.4, Expandable to 0.031"
Questions about the Okidata 320 Turbo? We can help. 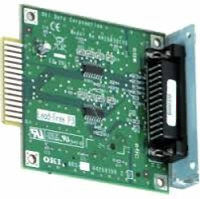 For more information about the Okidata 320 Turbo, or any of our products and services, call us at 1.800.457.8499 or email us. Order your Okidata 320 Turbo today. Order your Okidata 320 Turbo now. Your purchase order, with credit approval, is welcome, as well as all major credit cards, PayPal and Google Checkout. Remember, you'll get FREE technical service with every product you buy from Vecmar. 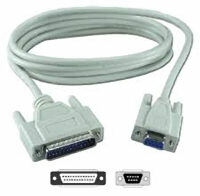 Okidata ML 320 Turbo - Remanufactured - 9-pin 425 CPS, Narrow, Ribbon Included - *Parallel ONLY - no USB interface.